Swine Flu In Rajasthan: A total of 49 people have died of the H1N1 flu in the state this year and 1,233 people have been found positive. Former Rajasthan chief minister Vasundhara Raje attacked the Congress government over its "failure" to tackle swine flu menace in the state. A total of 49 people have died of the H1N1 flu in the state this year and 1,233 people have been found positive. "Had the Congress-led state government been alert, swine flu would not have claimed so many lives in the state," Ms Raje said on Monday. "The state is in the grip of swine flu which is spreading at a fast rate, while the Congress government is on a ''resting'' mode," the BJP leader said. People of the state have come to realize that the Congress government was supplying electricity to farmers at night instead of day, she said, adding claims of farmers'' loan waiver within 10 days of coming to power has proved to be a "gimmick". The promise of unemployment allowance of Rs 3,500 also seems to have vanished from the ruling dispensation's memory, the former chief minister said. 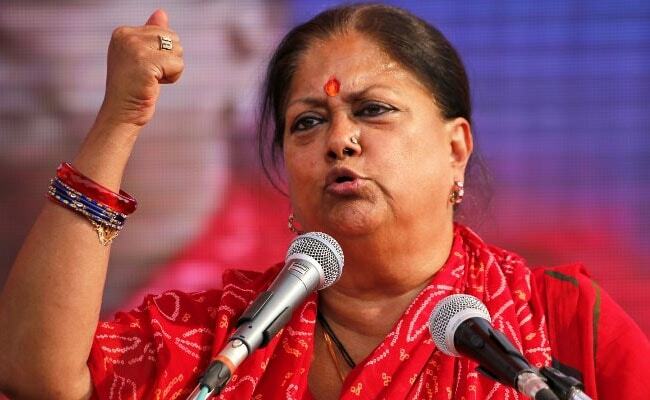 Ms Raje asserted that the people of Rajasthan did not reject the BJP government in the last state assembly polls. "...if that was the case, the Congress would have won a majority," she said.